Published Aug. 22, 2018 at 1:36 p.m. 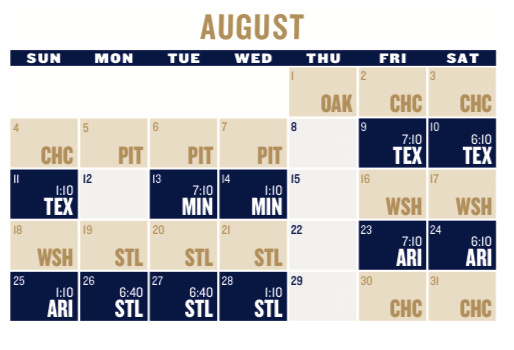 The Brewers's second-half struggles bringing you down? 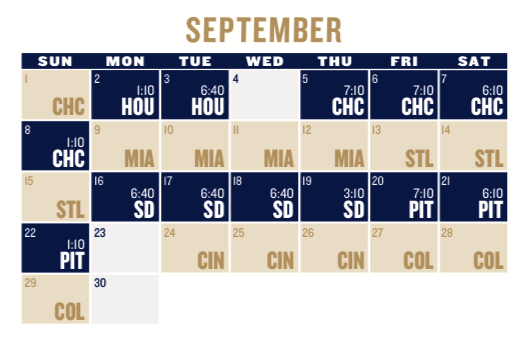 Well, the good news is that, even with all their on-field woes, they're still in possession of the second Wild Card spot. 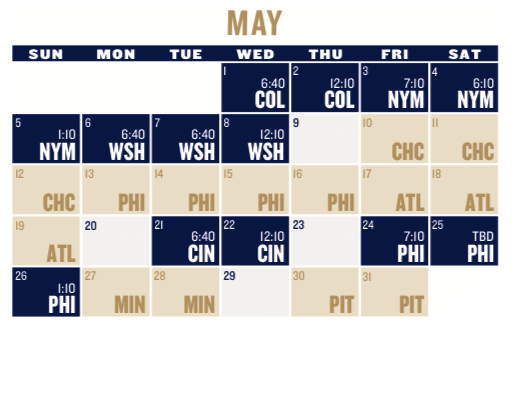 And if that doesn't increase your optimism, well, there's always next year. 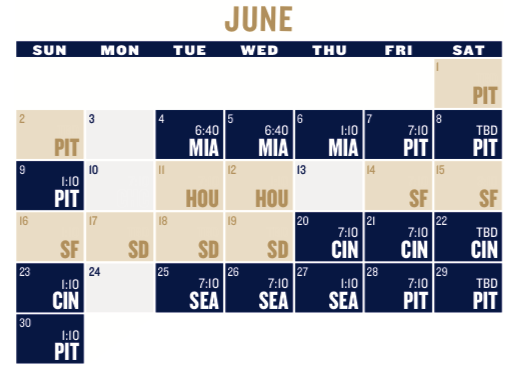 Speaking of which, the Brewers today released its schedule for the 2019 season. 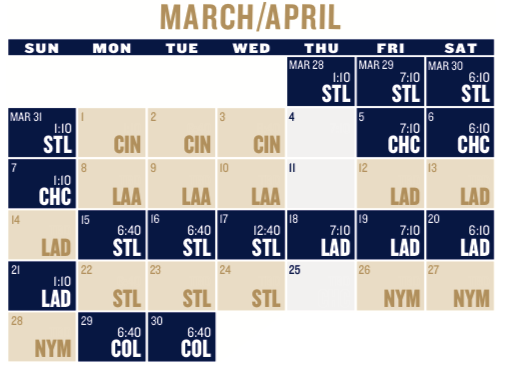 The season will begin at home on Thursday, March 28, with a four-game series against the St. Louis Cardinals. 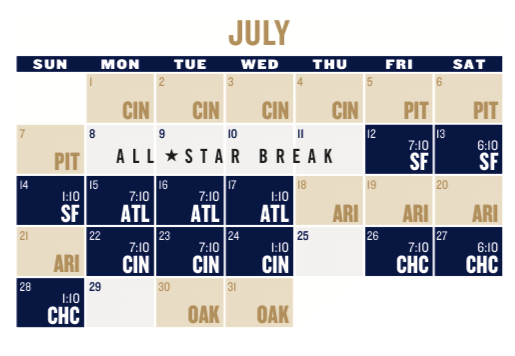 The rest of the season consists of 19 matches agains the Chicago Cubs – including three weekend series at Miller Park – two ten-game homestands, one ten-game road trip in May and an interleague schedule pitting the Brewers against the American League West (the Houston Astros, Oakland A's, Seattle Mariners, Texas Rangers and Los Angeles Angels).